Photo: Lewis Morley House, ca. 1836, 231 North State Street, Painesville, OH. This home was designed and built by master builder Jonathan Goldsmith Listed on the National Register of Historic Places in 1978. Photographed by user:LeeG7144 (own work), 2012, [cc-by-3.0 (creativecommons.org/licenses/by/3.0)], via Wikimedia Commons, accessed November, 2013. 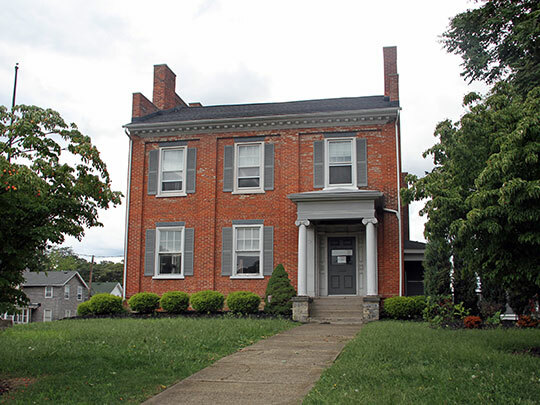 Lake County Administrative Offices are located at 105 Main Street, Painesville, OH 44077; phone: 800-899-5253. Lake County was created in 1840 from parts of Cuyahoga and Geauga counties.